As an experienced professional, searching and getting another professional job with better benefits would be easier if you draft an impressive resume. You resume should be without any mistakes or faults and it should sell your skills to the person reading it even before the person meets you. Your resume should portray you in a very positive manner before your potential employer. There are 5 tips that you can follow to help you make the perfect resume that will enhance your possibility of getting a professional job. 1. List your significant information. This includes your name, marital status, age, address and educational background. This information together with how well you performed in college will tell the employer whether you have the right qualifications to work with the company. 2. Make sure that you highlight all your strengths related to the position that you are seeking. Your resume should display information about your achievements and accomplishments in your past work experience without looking over-convincing. The information should also not look bland and you should match the qualifications you have with the job you want showing that you meet or exceed all the requirements. 3. Be honest when listing your skills achievements and qualifications. It is important to be accurate as you list this information about yourself in the resume. The reason for this is that in case, you get employed; you will not suffer the consequences of not being able to perform some of the duties that you listed in your resume. 4. 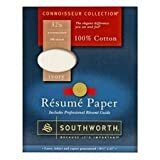 Draft your resume in an elegant but simple way. It is not advisable to have a resume that is too artistic for it might give the wrong impression to the person who will read it. The most important thing that your resume should do is portray a formal, professional and competent impression. The best fonts to use are either Times New Roman or Arial and they should be of average size such as 10 or 12. 5. First, mention the most important professional skills and experiences related to the position that you want. In case you have special skills that will make you stand out from other applicants, it will be to your advantage to let this information be available to the job recruiter first. Note that the person who will read your resume will not spend a lot of time reading it. If the person reading it sees that you have important qualifications, he or she will take an interest in reading the other parts of your resume. These 5 tips will help you draft ideal resumes that will present you favorably to employers when you are looking for a job.